Kindly apply directly for any specials that may be on offer. 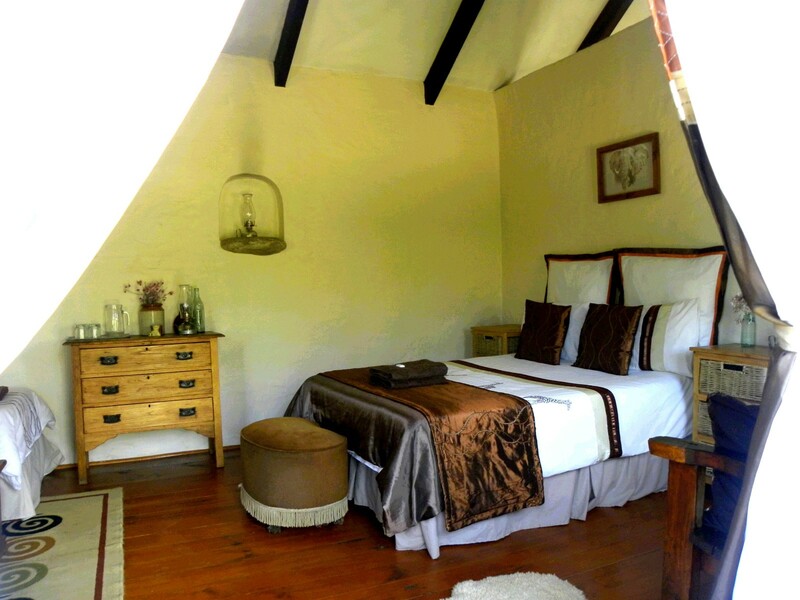 Baviaans Lodge, bordering the World Heritage site of the Baviaanskloof dierctly, is an Eco-Wilderness Lodge Retreat, a stunning landscape of Wilderness, Forest and Kloofs, a true nature lovers getaway destination. 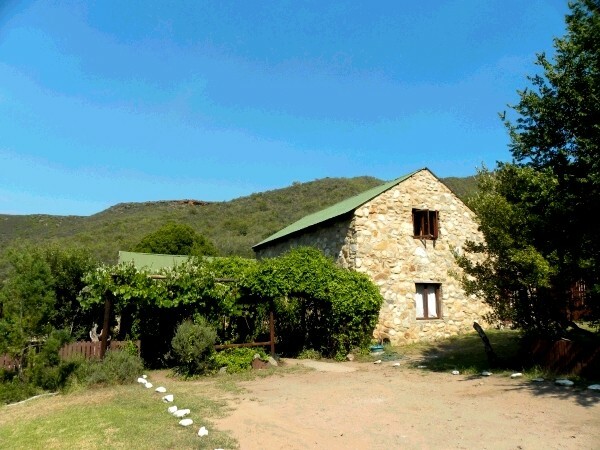 Situated on the Baviaans-Kouga4x4 travel route, it is a getaway destination , a sort after wilderness retreat, that offers nature lovers and city dwellers a chance to experinece a wilderness area, and escape from the concrete jungle of todays Urban World. 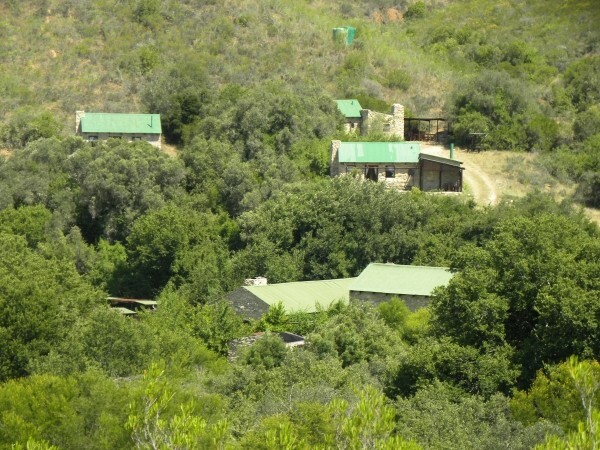 For those newcomers to the Baviaanskloof region, and for those who have been here many times, discovering Baviaans Lodge is finding a hiddens away oasis in this remote wilderness. The Lodge offers an new perspective to visiting the Baviaanskloof Region, its unique position on hte Baviaans-Kouga4x4 route is known as " the Fynbos Entrance " to the Baviaanskloof, and hte lodge has become known as " die Kleine Hel " because of it remarkable similarity to " die Hel " in the Swartberge. 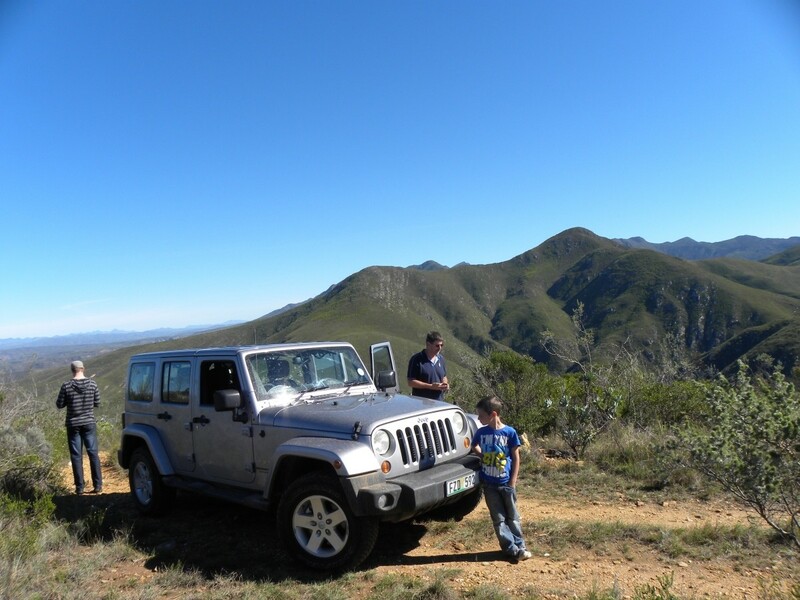 Travelling in via Baviaans Lodge on the Baviaans-Kouga4x4 travel route, offers somehting new in Baviaanskloof touring. 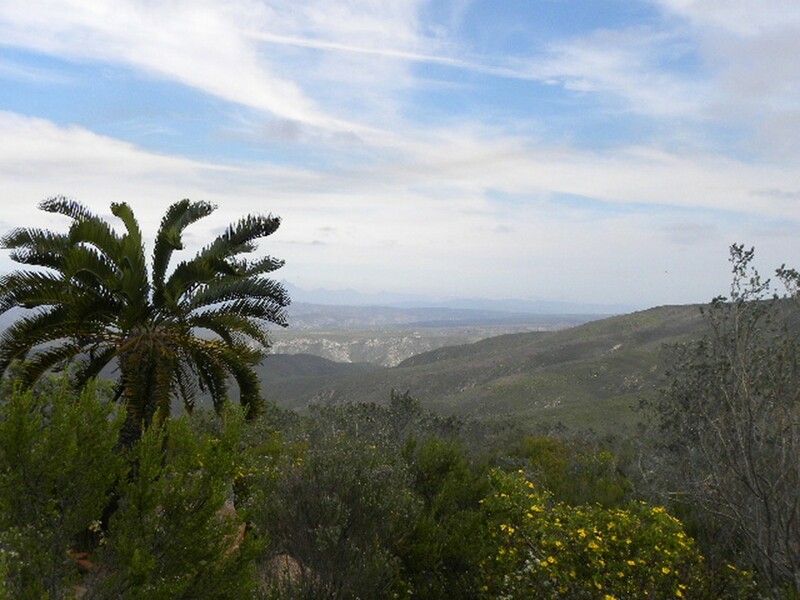 Diversity of trees, shrubs, birds and plants, it is truly one of the most remote wilderness destinations , yet accessible within hours from the R62, N2 Garden Route area and Port Elizabeth. 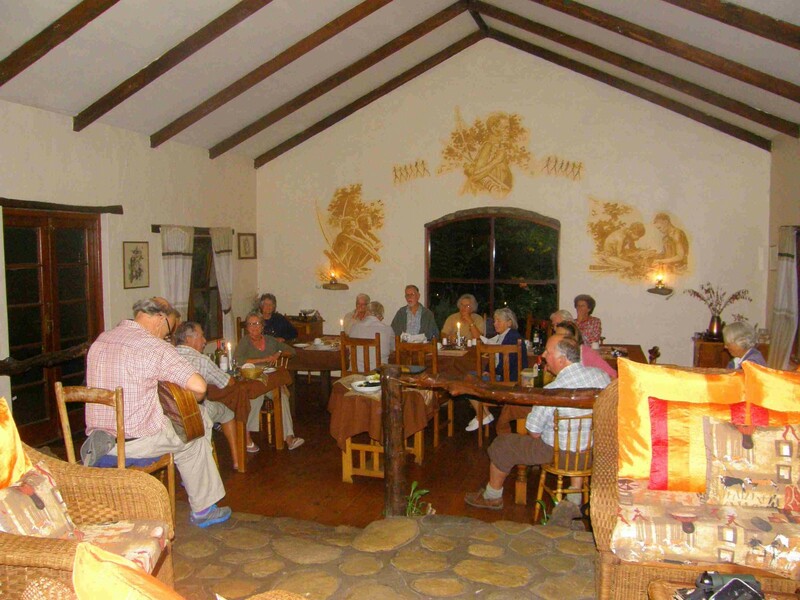 Comfortable accommodation, superb meals and a wide range of natural outdoor activities are the hall marks of Baviaans Lodge. 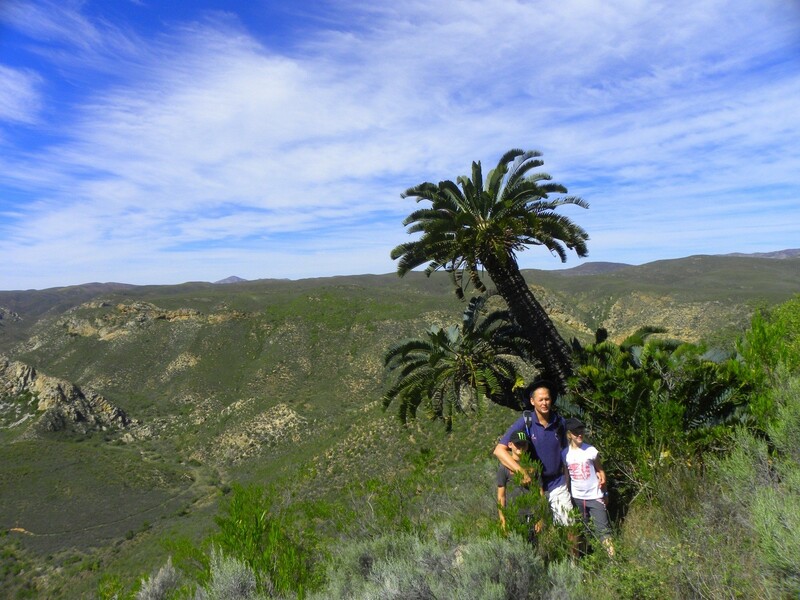 We can proudly boast a diversity of 107 indigenous tree species, over 150 recorded bird species, as well as vegetation from many of South Africas plant biomes, making it a wonderful walking area, with indegenous game and flora. Our accommodation in lovely stone cottages, is quite comfortable and unique, and the Lodge has a superb reputation for serving outstanding country style cuisine. 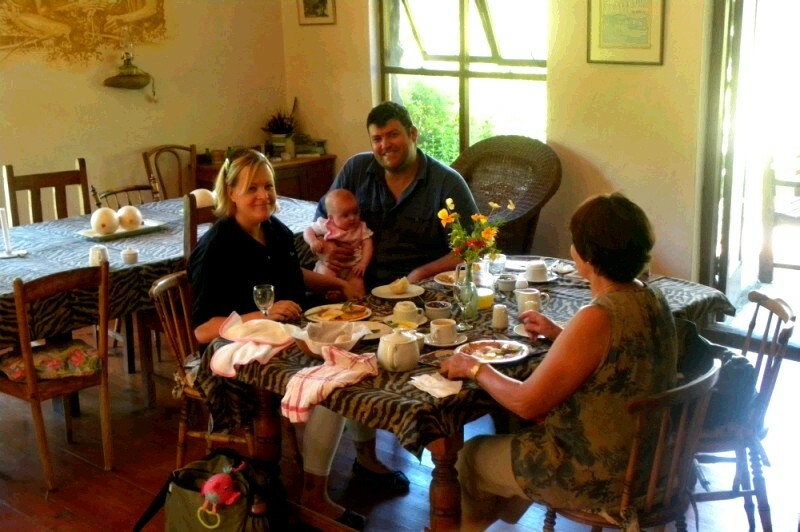 we offer as standard 3 course eveing dinenrs, and a farmhouse style breakfast. 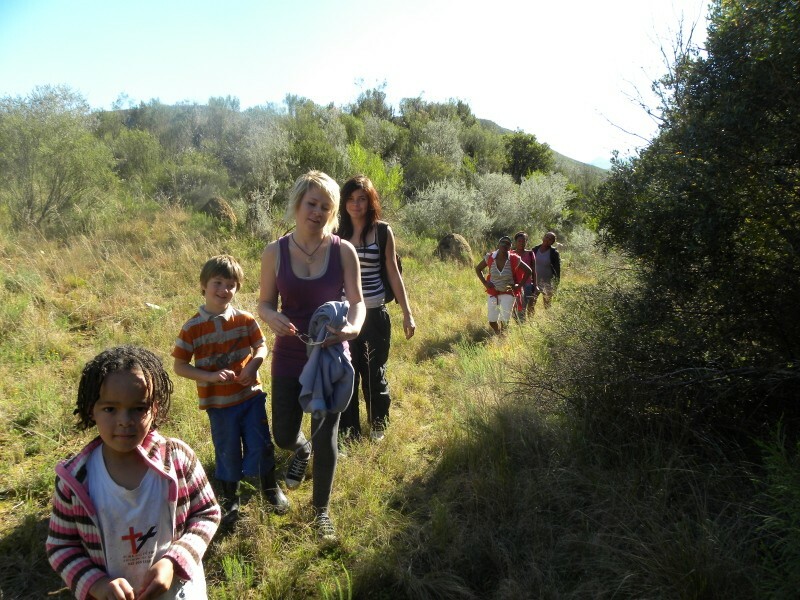 Our Wilderness activities, include, walks and hikes, kloofing, mountain biking trails, birding, san art viewing, 4x4 trails and excusions, game tracking, star gazing, nature trails and walks, botany and dendrological outings. 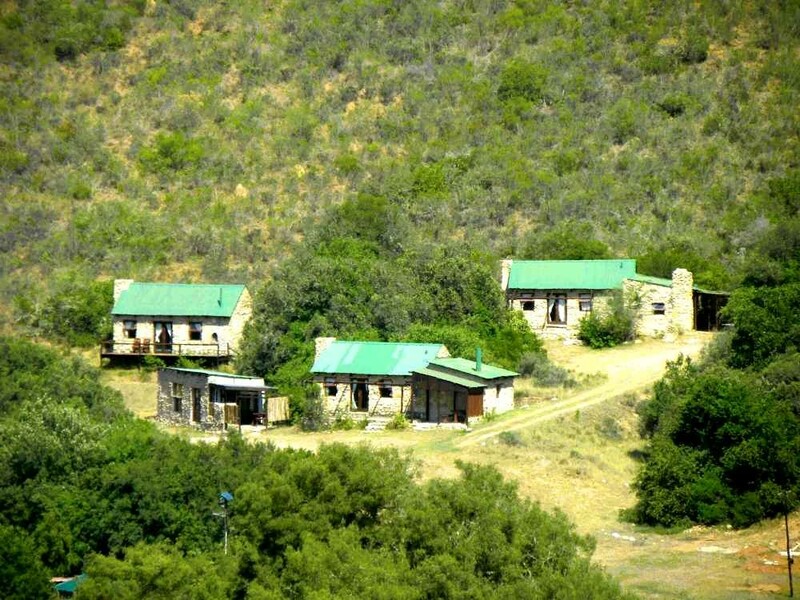 The journey to Baviaans Lodge is part of the wonderful adventure of traveling in the Eastern Cape. Stunning mountain scenery as well as picnic spots will enable you to relax and have many photo opportunities en route. Once you reach the gravel roads, please take care and remember to be on the lookout for sharp corners and single lane road sections. If you have any doubts as to the directions or road conditions, please contact the Lodge prior to starting your journey. KINDLY REMEMBER TO FILL YOUR VEHICLE FUEL TANKS AT KAREEDOUW. On leaving the R62 at the Assegaaibosch station, there are normally only 2 cell phone reception points. The 1st is after you have turned left on the heights along the Road above the Kouga River Poort. The 2nd at the Joubertskraal turnoff which is 6 klms from the Lodge. Please note there is no cell phone reception at the Lodge. A standard landline is normally available to guests. TIMES are ESTIMATED ON AN AVERAGE SPEED OF 120 KLM PER HOUR ON TAR AND 30 KLMS PER HOUR ON GRAVEL ROADS AND 10 KLM PER HOUR ON 4X4 ROADS. DIRECTIONS from THE FOLLOWING AREAS to the LODGE. Travel along the N2 and pass over the Storms River Bridge. Take the next exit off the N2 ( about 20 minutes after Storms River) signposted for Kareedouw and travel over the mountains until reaching the R62. Turn right here and go through Kareedouw ( PLEASE FILL FUEL TANKS HERE) On leaving Kareedouw ( about 2 klms along the road ) take a left exit marked Assegaaibosch station and leave the R62 here. Cross over the low level bridge and turn left at the T junction (follow the Suuranys sign.) Travel up over the mountain pass ( about 20 minutes) crossing the Mountains , you will reach a T junction. Turn left here and follow the road until reaching a large river poort. 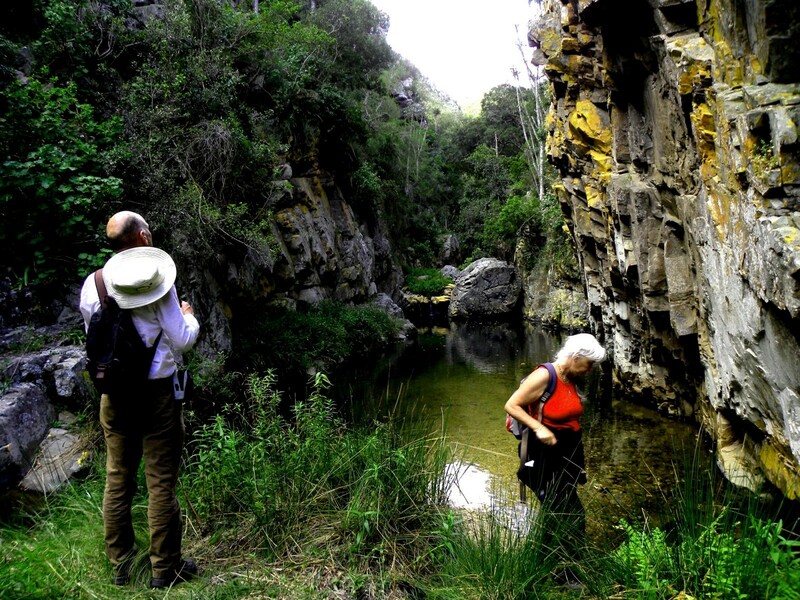 Travel through the Kouga Poort and cross the Kouga River, climb out the Poort. ( take care on approaches to the Poort ) 2 Kilometers after the river crossing, you will reach a left hand exit which is ( signposted) for Joubertskraal and Baviaans Lodge. TURN LEFT HERE and stay on this road until you reach the Lodge. 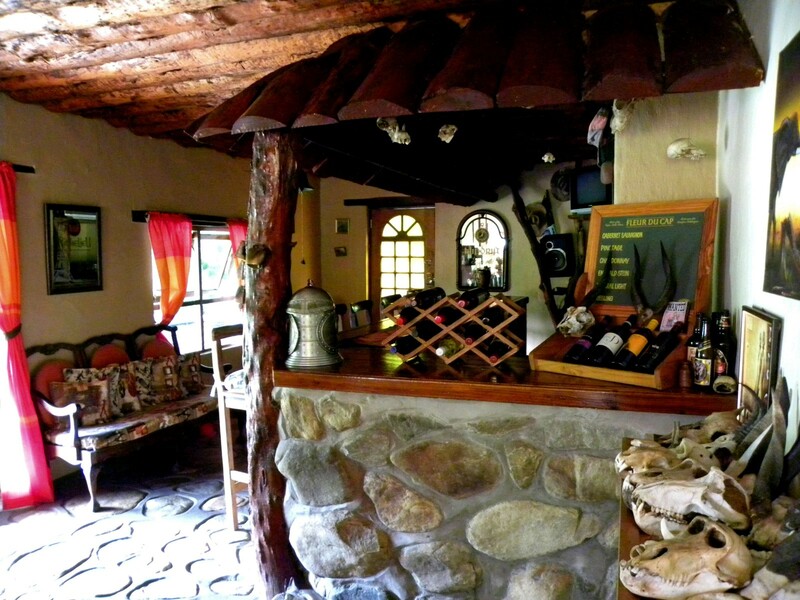 From this turn-off, the distance to the Lodge is 21 kilometers and travel time about 45 minutes. On the way, you will pass through a farm with pink buildings and green roofs. Travel on further and you will pass the turn-off to Joubertskraal . Continue on to the Lodge. If you have decided to view the scenic Langkloof and are traveling via the R62 route, travel in the direction of Joubertina along the Langkloof and then on to Kareedouw. Pass through Kareedouw and turn- off left at the Assegaaibosh Station sign and follow the directions as set out from this point..
Travel along the N2 towards Plettenberg Bay and go past Humansdorp. Take the next left exit off the N2 after Humansdorp, signposted for Kareedouw R62 and GEORGE via the LANGKLOOF. Turn in the Langkloof direction and head for Kareedouw. About 2 Klms before Kareedouw, turn right at the Assegaaibosch Station sign and follow directions as set out from this point. Directions from WILLOWMORE/UNIONDALE Areas along the Baviaanskloof road and via the 4x4 entry to the Lodge. Turn right into the farm. PLEASE STOP AT THE FARM TO REGISTER FOR THE 4X4 part of the route. KINDLY PLEASE PAY part of YOUR FEE HERE FOR THE ROUTE. DIRECTIONS from the PATENSIE AREA via Baviaanskloof road and 4x4 entry to the Lodge. PLEASE STOP AT THE FARM HERE AND PAY YOUR FEE FOR THE 4X4 ROUTE, which takes about 3 hours travel time to reach the Lodge.